Hello friends! I'm back today with another What I Ate In A Day post (you can see last week's food diary here). I'm vegan, so of course everything I'm sharing is free from any sort of animal products/by-products. Of course I drink a ton of water throughout the day - I try to get in at least 8 cups every day. 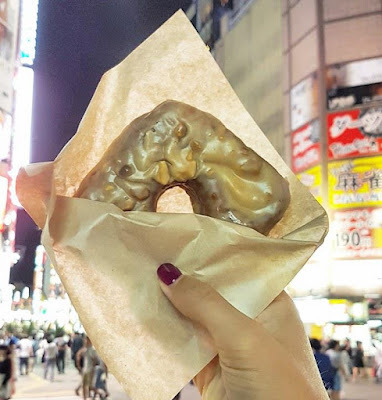 This is a special What I Ate post because I'm actually in Tokyo, Japan! My husband and I are here for a vacation, and I've definitely been checking out all of the amazing vegan options in Tokyo! The night before I had stopped by Doughnut Plant in Shinjuku Station, because I heard that they had donuts made with soymilk! They only had one vegan option when I went - peanut butter & jelly - and I bought the last two! It's not all that often that I'm able to find vegan donuts, so I was pretty excited about this! I'm in Tokyo for another week and you better believe that I'll be going back to see if they have any other flavours available! We stopped by Ain Soph Ripple for lunch, and my husband and I each got a burger and shared a plate of fries. He got the "chicken" burger, and I got the regular veggie burger. Both were absolutely delicious, and the buns were so fluffy! 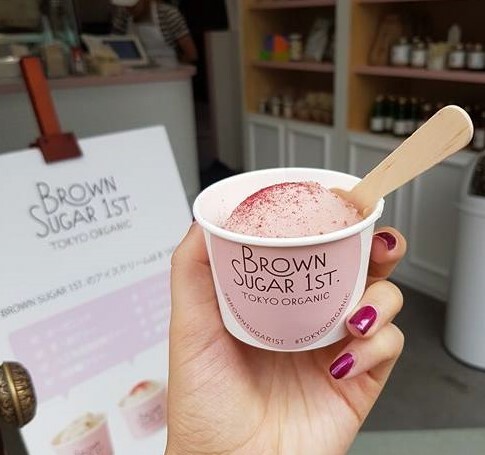 After people watching in Harajuku, we decided to get some ice cream because it was so hot out! After consulting Happy Cow (a must have free app for veggie travellers! ), we walked over to Brown Sugar 1st, a new organic vegan ice cream parlor. I got a Strawberry Ice Cream, which was really yummy! The consistency wasn't the smoothest or creamiest vegan ice cream I've ever had, but it was a nice treat on a hot day. 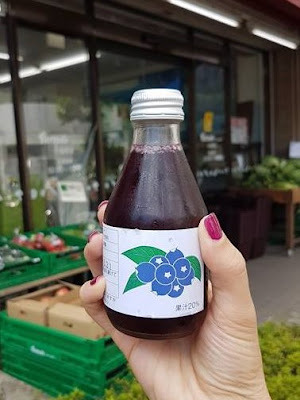 We stopped into a local market and I picked up a bottle of blueberry juice, which was delicious and refreshing! This one's an exciting one! 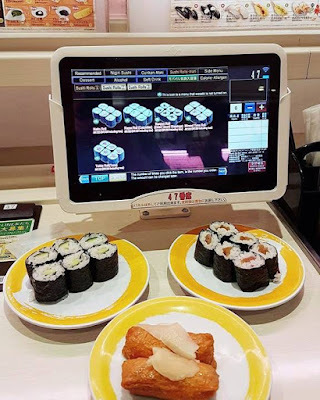 After checking out the crazy Shibuya Crossing, we had dinner at Genki Sushi. This is a conveyor belt sushi place, meaning that you order your food on an iPad, and it's delivered to you via conveyor belt! They had a few vegan options on their menu, and there is an English option on the iPad. I got a cucumber rolls, inari (sweet tofu skins stuffed with rice), and kanpyo roll (sweet squash). I also got a giant slice of pineapple, but I forgot to take a picture! This was such a fun experience, so I'd definitely recommend stopping by if you're ever in Tokyo. 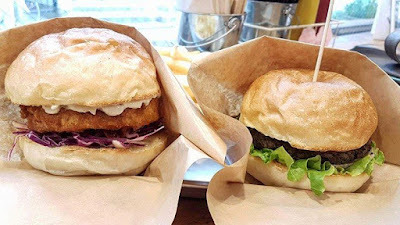 I am actually surprised (maybe naively) that there were so many great vegan options in Tokyo! I was surprised too! But so thankful that there were so many vegan options! !